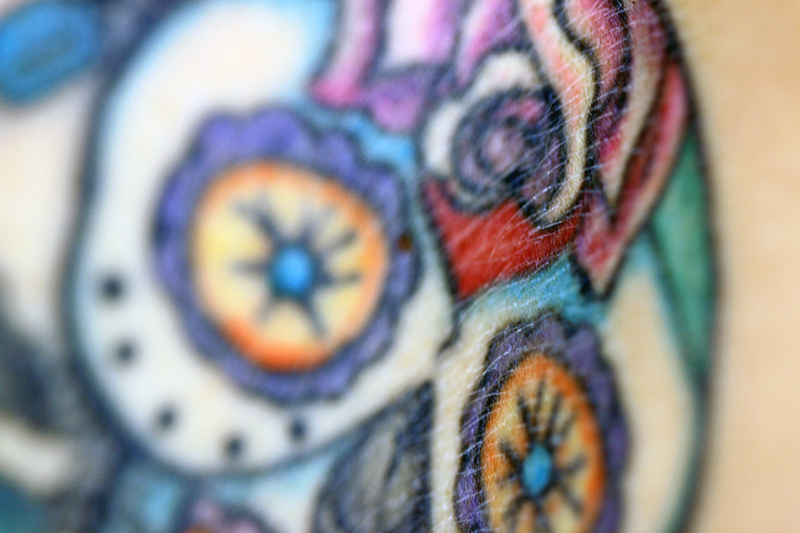 Rebecca’s Sugar Skull tattoo was done by the legendary Shanghai Kate Hellenbrand. Her Calavera (Sugar Skull) is more than decorative, and commemorates the life of a lost family member. This is in keeping with her Mexican heritage. She hoped that tattoo fans could become more informed about this tradition, so I provide this source which I found to be a short and nuanced explanation of the meaning of Calaveras, cases of their cultural appropriation and how they can be presented artistically in a respectful manner.